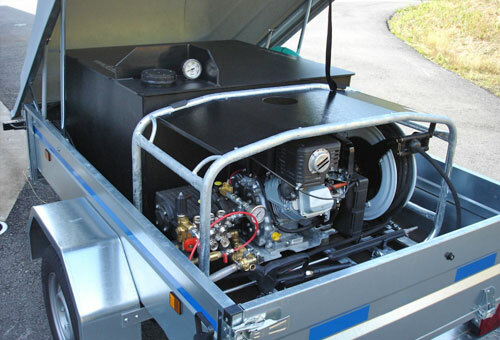 These versatile mobile pressure washers are designed for use on pickups, trailers, tractors and other similar equipment. 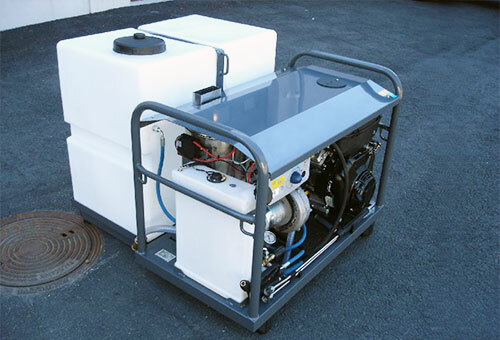 Their wide application areas enable easy washing/spraying of yards, graffiti, gardens, pavements, stairs, roofs, machines, facilities etc. 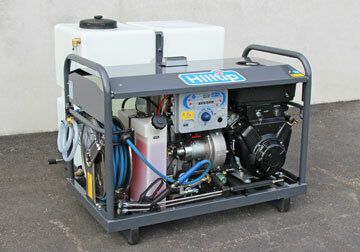 Includes 20 m hose reel. Electric start. 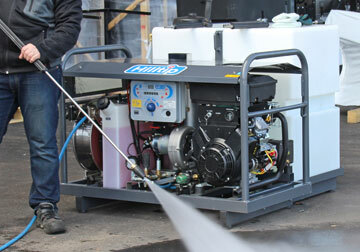 The hot water pressure washer is designed for ultimate efficiency when cleaning tough areas. 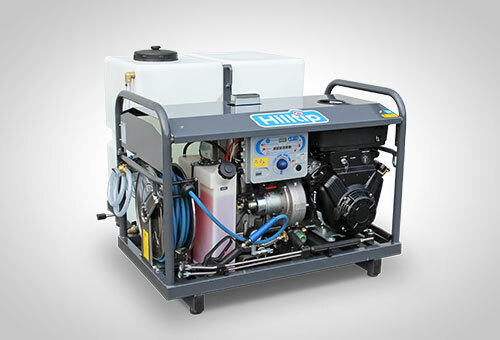 It’s the perfect device for removing dirt, grease, oil, etc. and dissolving sludge and ice blockage in pipes.